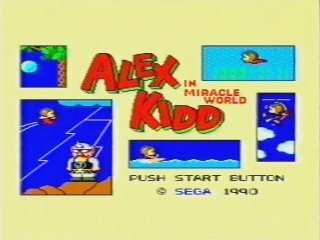 Originally released in November 1986, and later built in to the Sega Master System II, Alex Kidd in Miracle World is the first of several games to feature the big-eared Radaxian prince who was Sega's unofficial mascot before the creation of Sonic the Hedgehog. In this game, Alex Kidd must save his family and at the same time end the tyrrany of Janken the Great. This game offered many different types of gameplay with an assortment of different vehicles, swimming levels, puzzle elements, and a rock-paper-scissors mini-game (called Janken) in addition to basic sidescrolling stages. Because of its diversity it was widely accepted to be far ahead of its time and was easily one of the most popular games for the SMS. Best time: 0:14:24 by 'ocelots1990' on 2013-09-26.